The outlets mostly in east India and some in north, had to shut on December 25. New Delhi: McDonald's estranged partner Vikram Bakshi today said all the 84 outlets in east and north India that were forced to shut down after discontinuation of supplies by the logistics partner will reopen by this weekend. The outlets mostly in east India and some in north, had to shut on December 25 after Bakshi-led CPRL's logistics partner Radhakrishna Foodland discontinued its supply services alleging reduction in volume and non-payment of certain dues, among others. Bakshi, however, roped in new logistics vendor ColdEX to resume supply to the affected outlets. He denied the charges, saying Radhakrishna Foodland in collusion with McDonald's India is trying to hurt the business and there is no regular payment default. "Right now 64 of them have been re-opened and by the end of this week all the 84, which were temporarily hit, will resume operation," Bakshi told Press Trust of India. Led by Bakshi, CPRL, a 50:50 joint venture between him and McDonald's India, runs 169 outlets in north and east India even after the food chain in August last year terminated the agreement over management issues, among others, saying the termination is illegal and the outlets will run till the courts decide in the matter or there is an amicable solution with McDonald's India. Bakshi said: "Out of the 169 outlets, 167 will be fully operational by the end of this week and the remaining two in Delhi are under maintenance". 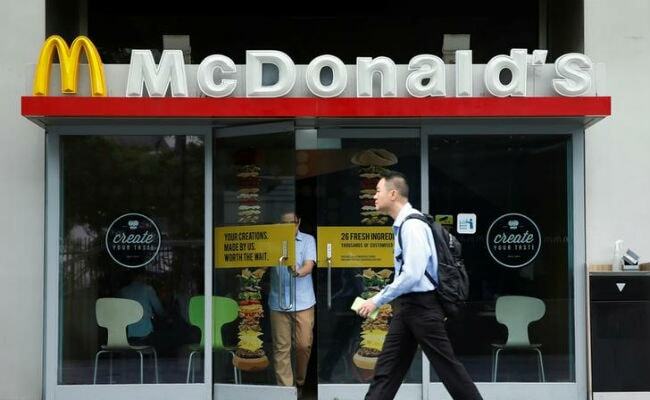 McDonald's, however, has raised concerns over the food safety saying there were alleged lapses in food quality and safety level by "all facets of the supply chain" and the new distribution centre is not approved by it. Bakshi had earlier hit back saying the US-based food chain follows "different standards" for India compared to other countries and continuously ignored the food quality concerns raised by him for the past four years. Both the parties are fighting the battle at various courts, including the NCLT (National Company Law Tribunal) and the Delhi High Court as also the London Court of Arbitration. The major tussle started after Bakshi was ousted as the MD of Connaught Plaza Restaurants (CPRL) in 2013, following which he approached the NCLT, which reinstated him to his position. McDonald's has challenged the same in the appellate tribunal NCLAT. On the other hand, Bakshi has challenged termination of the franchise agreement and both the parties are fighting it out at the respective courts. Meanwhile, the London Court of International Arbitration (LCIA) has asked Bakshi to sell his stake in the JV firm CPRL to McDonald's, which is pending at the Delhi High Court.